“.. the artist does not lay bare the full truth of the trauma, loss and grief, rather s/he veils and softens, then offers the viewer an object of beauty rather than one of decay. It is a kinder, sympathetic and metaphoric means of gazing into the reality of loss and grief. The viewer can engage deeply with the subject because the artist has, through the art object, made it possible to look into it, rather than being forced to look away through horror or despair. The softening enables the gaze and the gaze evokes empathy.” excerpt from Creative Space, Art in the Shadow of trauma, loss and grief. Anne Riggs. 2010 p166. When I was asked to help organise Felicity Fraser’s funeral (April 2014), these thoughts underpinned my approach. 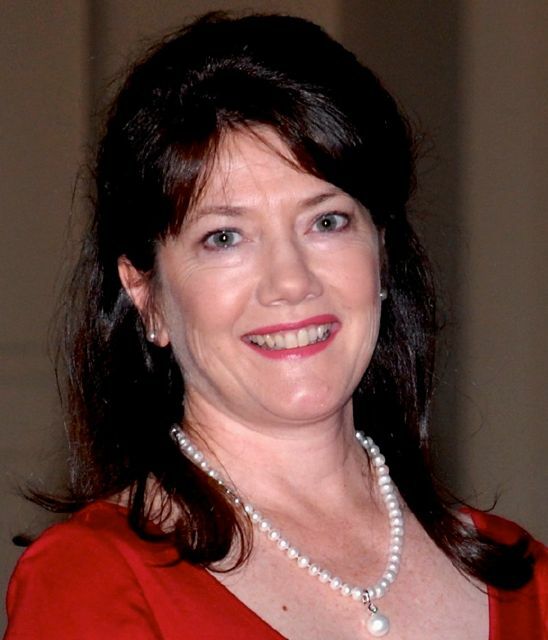 This vibrant woman died at aged 54 from ovarian cancer, about 9 months after diagnosis. Felicity had neither the physical nor emotional resources for many visitors her during the later part of her illness and as a consequence many people were unaware of its progress until she was end-stage or had died. Many mourners felt a sense of shock that she had died before they had been able to offer their help or share their thoughts and feelings with her. It was a painful time for all. We think deeply about death and loss; about what might be necessary for the person who is dying and what might be necessary and useful for those left behind. Where can comfort be found? What guidance might help? My own observations have led me to conclude that having space for mindful expression of the complete range of emotions, particularly of the expression of loss is really helpful for a “good death” and “good mourning”. A funeral is a time for communal mourning, communal remembering and communal thanksgiving for the life of a loved one. It is a time to give and receive comfort. In preparing Felicity’s funeral I thought through the funerals I have attended over the years – considering what made some more meaningful than others. Regardless of whether the service is religious or not, a funeral needs to be personal and it needs to be communal; it needs to acknowledge the loss, the life of the person and give the mourners a place and time to honour their relationship with the deceased and say goodbye. It also needs to leave the mourners with some sense of hope. The most profound draw on the works of artists, writers and musicians to help bring clarity and expression to emotions. Music is unique in its capacity to synthesise feelings, to remind us of the past, to move, to exalt, to transcend. 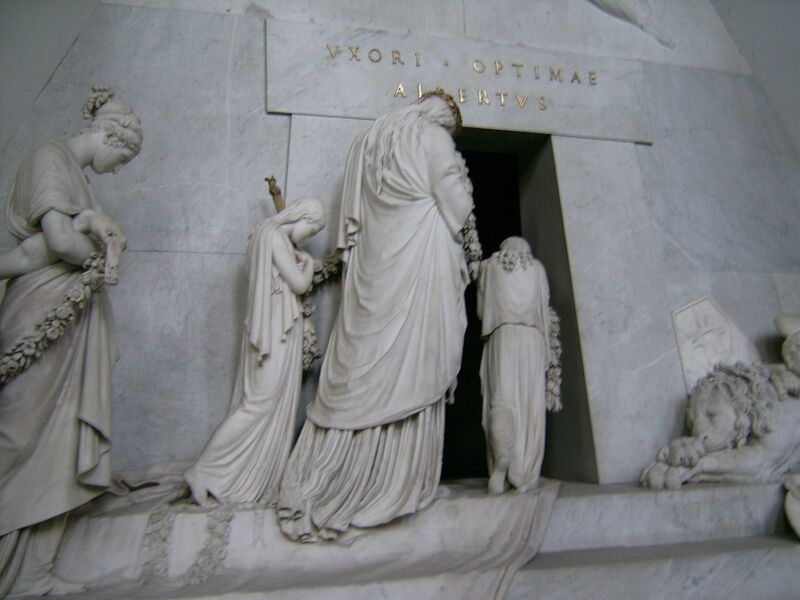 The marble tomb of the Archduchess Christina who died in 1798 is located in the Church of the Augustines, Vienna. Five white, bowed figures make solemn procession towards the open door of the tomb beside which a lion is also suffering in its mourning. Each figure is extraordinarily beautiful in its expression of overwhelming sorrow. The potency of the work lies in the artist’s depiction of the mourner’s relationship with the empty dark space of the tomb itself – the abyss, a metaphor for the desolation of grief. In this cavernous blackness the artist, Antonio Canova, encapsulates feelings of hopelessness, and the desolation and utter despair of immeasurable loss. One of Felicity’s wishes was for butterflies to be placed on her coffin – she passed this task to me. Once she had died small groups of her friends and family gathered to make them; as we created we shared stories of our time with her, our loss and feelings of pain and sorrow. We also met and got to know others in her life that were mourning her loss. Hundreds of hand-made as well as printed butterflies, some with private messages, were laid on her coffin in a communal procession of mourning. In our sorrow and grief we created something beautiful. We transformed what can be the confronting and lonely sight of the coffin into community art work to express our love as well as loss of a beloved family member, friend or colleague. The butterfly laying enabled mourners to get close to Felicity for a final time, in a moment of intimacy; it helped us transform what might be troubling, or imagined, images of her suffering into an image of rest and beauty. Words, music, images and time for reflection all play a part in mourning and were chosen carefully. Below is the Order of Service, eulogies from friends and family, readings, the Homily by Fr Gleeson and words to Deep Peace. Anne Riggs is available to help you plan and organise a funeral, and work with you through your grief and mourning. It was a beautiful service, and a credit to Felicity and you, Ann. She is sadly missed and fondly remembered. The funeral was so wonderfully put together – to sit there with others who loved Felicity, to hear the stories, to laugh together when the stories jogged our memories of the mischievous and joy of life that Felicity exuded, to write a message on those beautiful butterflies that danced on her coffin and to cry together when seeing her face beaming out at us all from the slide show as the mesmerizing music wafted over us throughout the service. I left the church feeling uplifted. Though sad that the opportunity to laugh and work with Felicity will not be there in the future, my memories of her will be always be happy ones.